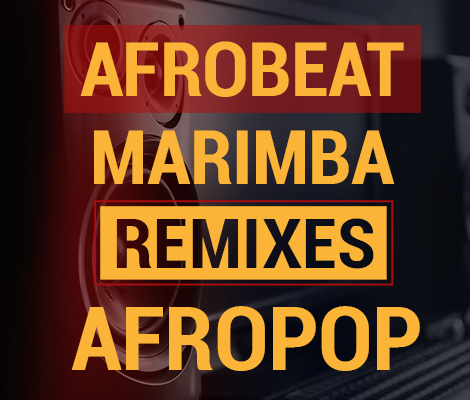 Purchase your iPhone Ringtone Afropop Remix (Marimba Version). Buy now and download directly to your device through iTunes, Google Play or Amazon. (You have to be on a mobile device to be able to download on iTunes). Hey.. Your beats are sick and I want to purchase . I need a Christmas beat like you did for ooye . they should the Christmas song at the beginning . how much will it cost? Thanks Lekan! We can do that for you, about to email you. It’s a the same, it’s just a shortened version. Unfortunately iTunes put a limit of 30 seconds for ringtones. We noticed from a lot of comments and messages we received that getting the ringtone on iPhones manually was a convoluted process so we got in on iTunes so you can download directly to your device. Let me know if you have any other questions. These two song are different, please listen to the YouTube one and this one the background melody is different and the drop is different as well , I’d pay extra to get it exactly how the the guy has it in the YouTube one when the nan call him from second 12- 35 sec please listen to the difference. I’m from Mauritius and I would like to buy the Marimba Afropop ringtone. However, it is not available on Google Play for my country. Can you please help? Thanks in advance for your kind cooperation. I’d love to purchase the marimba iPhone ringtone but it is in dollars and I’m in England but this ringtone is the best and can you make it for Samsung aswell please? Hi Lamin, You can purchase it via iTunes; they should be able to make the conversion. We are planning on making something for Samsung. What ringtone do you think is most popular? It’s the same ringtone, we just had to shorten it to meet iTunes Ringtone specifications. Hey, I can’t find any of the ringtones on the itunes store, how do I search for them?